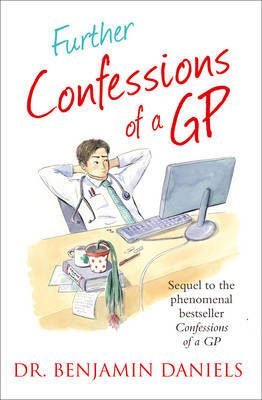 Last week, I wrote about how much I enjoyed reading Further Confessions of a GP by Dr Benjamin Daniels. Now, courtesy of those good folks at The Friday Project, I have ten copies of the book to give away to readers of this blog. Entries will be accepted up to 23.59 UK time on Sunday 9 February. Multiple entries will not be accepted. Sorry, but the giveaway is UK only. After that time, I will use a random number generator to select ten winning entries. If you are a winner, I will contact you via the e-mail address you leave with your comment, and ask for your postal address. I will then give your details to The Friday Project, who will send your prize to you directly. Your details will not be used for any other purpose. I will publish the winners’ names, and the books they receive, on the blog. Love it! As a hypochondriac I think this might be required reading!